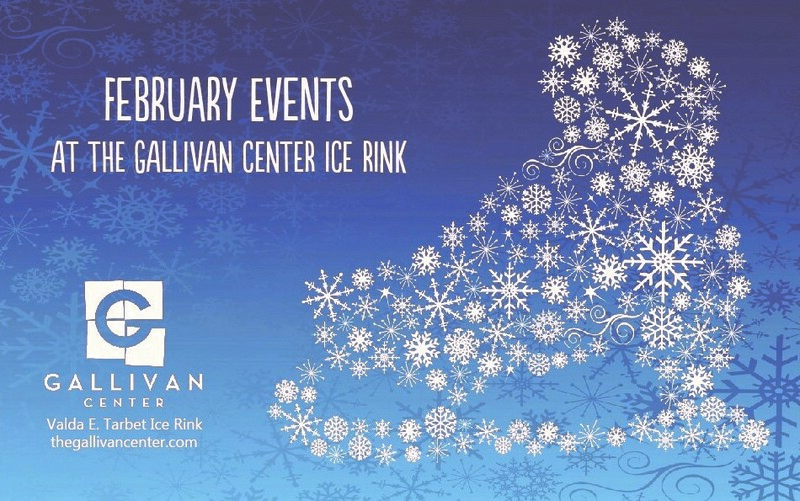 February Fun at the Gallivan Center Ice Rink! Join us for a night of ice skating with your sweetie, best friends, and/or family on Saturday February 18th! 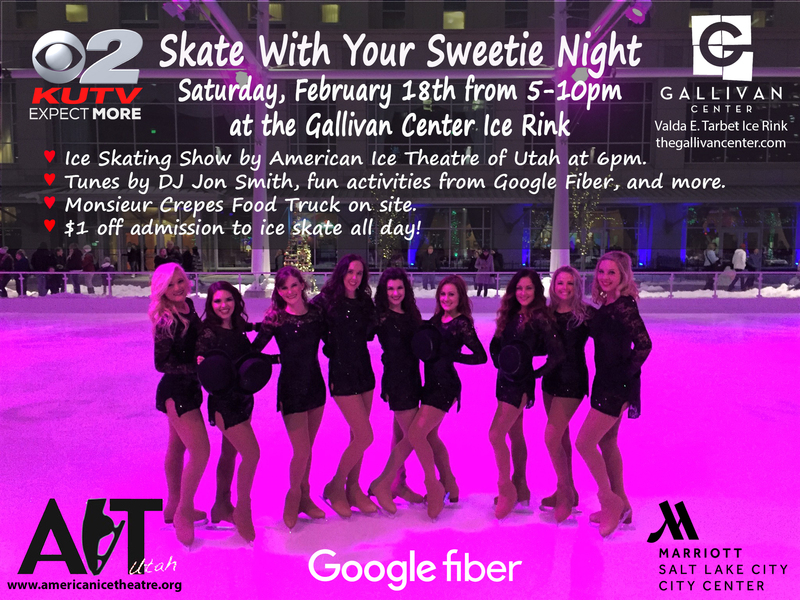 $1 off admission for ice skating ALL DAY, an ice skating show by American Ice Theatre of Utah at 6pm, tunes by DJ Jon Smith from 5-9pm, fun activities from Google Fiber, get your photos taken by Emily Prieto Photography, and more! Monsieur Crepes will also be on site with food for purchase from 5-10pm. You won't want to miss this! President's Day Holiday Hours at the Gallivan Ice Rink! The Gallivan Center Valda E. Tarbet Ice Rink will be open on Monday, February 20th from noon until 9pm in honor of the President's Day holiday! Come and skate with us!